In response to the opening of Bee Cave Middle School this August and Elementary School No. 7 in August 2020, Lake Travis Independent School District (LTISD) officials have announced the formation of a School Attendance Zone Advisory Committee to be convened in February. Every two years, College Station, TX-based demographer Population and Survey Analysts (PASA) studies student residential locations, potential growth and decline, housing trends, and economic factors inherent to the district. The 2018-2019 findings are contained in a Demographic Update presented to district officials during the January 16 regular meeting of the school board. The update will be used to assist the committee with the realignment of current school attendance boundaries that will accommodate growth in student enrollment. In addition to the Demographic Update, district officials will incorporate a two-way engagement tool called Thoughtexchange to gather public feedback between January 17-28. Participants will be asked one open-ended question and can assign ‘stars’ or ratings to ideas shared by others, allowing district officials and participants to learn what is important to the community. Feedback from the exchange will guide the work of the advisory committee. two school board members will serve in an ex-officio capacity. School attendance zones are slated to be announced by the end of the spring 2019 semester prior to students leaving for summer break. Middle school attendance zones will be effective to correspond with the opening of Bee Cave Middle School in August 2019, and elementary attendance zones will be effective with the opening of Elementary School No. 7 in August 2020. PASA demographers report student enrollment increased by 585 students—or 6%—between school years 2016-2017 and 2017-2018, the third largest percent increase in Texas among districts with an enrollment of more than 10,000 students. Considering a moderate growth rate scenario, PASA estimates student enrollment at LTISD would reach approximately 15,000 by 2028. Dr. Brad Lancaster will be on medical leave beginning Feb. 21. Lake Travis ISD Superintendent of Schools Dr. Brad Lancaster announced January 16 he is scheduled to have open heart surgery next month. As a result, the school board named Deputy Superintendent Holly Morris-Kuentz as acting superintendent, serving in Dr. Lancaster’s absence beginning February 21. Amanda Prehn has been selected to serve as Principal of Bee Cave Middle School, announced Lake Travis ISD Superintendent of Schools Dr. Brad Lancaster. Ms. Prehn possesses more than 15 years of experience in public education serving as a teacher, assistant principal and principal in the Cypress-Fairbanks, Leander and Lake Travis school districts. She joined LTISD in 2015 as Assistant Principal at Serene Hills Elementary School. A year later, Ms. Prehn was promoted to serve as Principal of West Cypress Hills Elementary School, a position she has held since 2016. 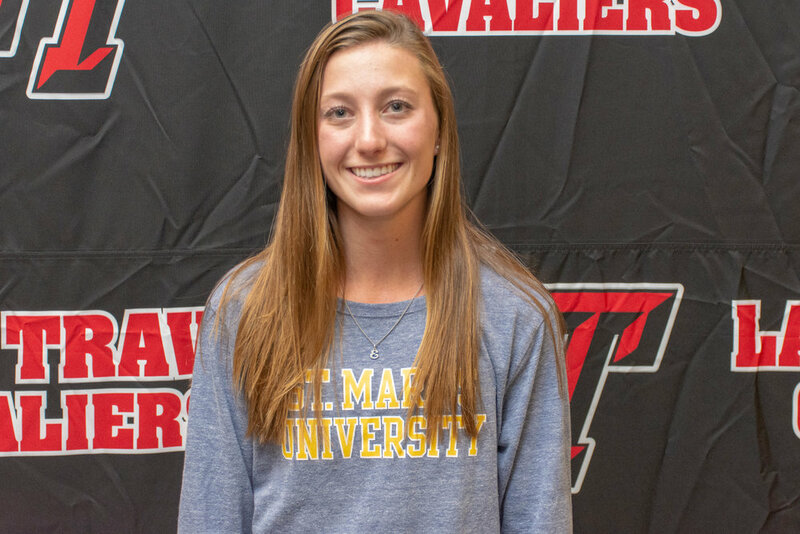 A native of Katy, Texas, Ms. Prehn earned a Bachelor of Science degree in Education from Texas A&M University and a Master of Education degree in Teaching from Schreiner University in Kerrville, Texas. She and her husband Brian have two children—Jackson, 8 and Mason, 5. Ms. Prehn will officially begin her tenure as Principal of Bee Cave Middle School on January 22, 2019. As she begins her transition and prepares for the opening of BCMS in August, Ms. Prehn will be working temporarily from the LTISD Administration Building. In her absence, Dr. Lancaster has appointed Lester Wolff to serve as Interim Principal at West Cypress Hills Elementary School for the remainder of the school year. Most recently, Mr. Wolff served as Interim Assistant Principal at Hudson Bend Middle School. Located off State Highway 71 and Vail Divide in western Travis County, the District’s third middle school is part of a $253 million bond approved by voters in November 2017. The $76.2 million structure will accommodate 1,200 students in two-story, grade-level houses nestled into the Texas Hill Country. The campus is approximately 60% complete and scheduled to open in August. The Lake Travis school board approved the 2019-2020 instructional calendar at its regular meeting December 19. The calendar was developed in coordination with the District’s Advisory Committee on Education (ACE) and input from district and campus staff. "The development of our instructional calendar is a critical task that affects our students, staff and community," said Lake Travis ISD Superintendent of Schools Dr. Brad Lancaster. "It is important that we recognize the ACE committee for its work and commitment during this process." According to the new calendar, the first day of instruction will be Wednesday, August 14, 2019 and the last day of instruction will be Friday, May 22, 2020. Ending the year in May allows more time for planning for summer school and college enrollment for the summer sessions. Additionally, grading periods and semesters are more equally distributed with professional development occurring at the beginning, middle, and end of the year. "Through the work of our committee, as well as through valuable input received from our principals from campus staff, we are confident the 2019-2020 calendar provides the framework for us to best meet the instructional requirements for our students as well as the professional development needs of our teachers and staff," added Dr. Lancaster. The school board-approved 2019-2020 instructional calendar is available on the district website, on each school website (listed under ‘Calendars’) as well as below. Bennett Mohn - Longwood University. 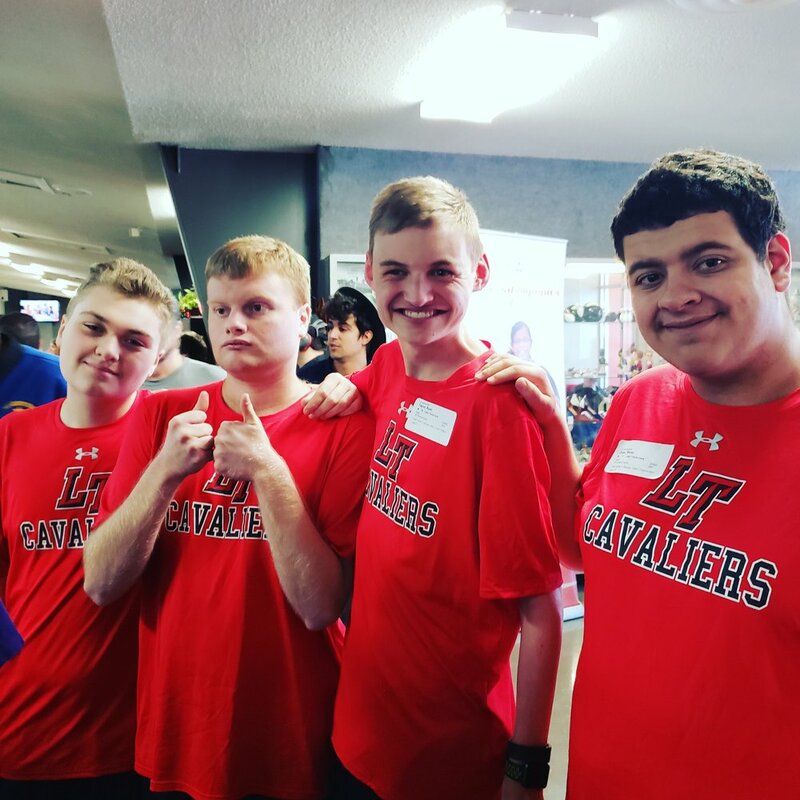 Members of the Lake Travis High School Tennis team made their annual visit to Barrington Elementary in the Austin school district Dec. 18. The team collected gifts and clothes for 75 students thanks to the support of principal Gilma Sanchez and her staff. In recognition of superior energy performance, the U.S. Environmental Protection Agency has awarded eight Lake Travis ISD campuses with the distinguished 'Energy Star' designation for 2017. According to the EPA, buildings that earn 'Energy Star' certification use 35% less energy and generate 35% fewer greenhouse gas emissions than similar buildings across the nation. 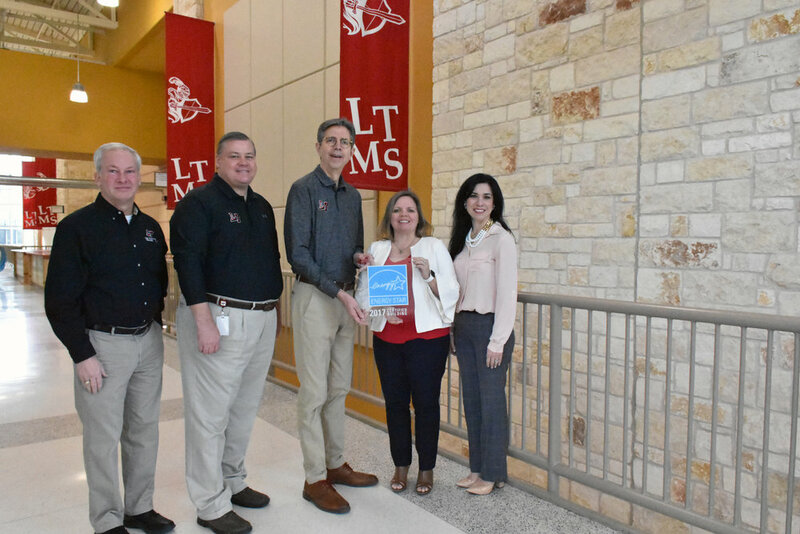 LTISD Superintendent of Schools Dr. Brad Lancaster and senior staff recently presented principals with 'Energy Star' plaques to be prominently displayed at their respective campuses. It has come to the attention of Lake Travis ISD officials that a social media challenge directed at children and young adults called the “Momo Challenge” is cause for concern for school districts across the country. It is important that parents become aware of this challenge and monitor their children’s use of social media and the internet. The “Momo Challenge” is a game which is very disturbing in nature. It can be found on Facebook and/or through the “WhatsApp” messaging app. Participants voluntarily text their mobile number to the Momo character. The Momo character will then respond claiming it knows the participant’s secrets and will release them along with the participant’s photograph unless the participant performs certain tasks or challenges. Initially, the tasks are small but then escalate to more aggressive and serious violent acts including self-harm and suicide. Participants are then asked to submit photographs to prove the challenges have been completed. The “Momo Challenge” is one example of dangerous content available through social media and the internet that has a negative impact on students. LTISD’s Technology and Information Systems Services department has safeguards in place to restrict access to inappropriate websites and related content through its own filters and firewalls. However, students may be able to access the “Momo Challenge” on cellular devices via “WhatsApp” which the District cannot filter because such access is delivered by the cellular provider’s network. Rest assured, LTISD teachers and staff continue to educate students on digital citizenship, common sense guidelines, age appropriateness and potential exposure from older siblings or neighbors. Students are encouraged to contact their school counselor or visit the “Cavs Who Care Tip Line” on our district app or campus websites with any questions or concerns regarding the “Momo Challenge” or other social media/internet threat. As the holidays rapidly approach, many of our students will have more screen time on electronic devices or receive them as gifts. District officials ask parents to please consider age appropriateness for their children’s use of technology, time spent on social media, and overall reminders of family guidelines and expectations for making good choices. Lake Travis ISD is one of 373 school districts in the U.S. and Canada honored by the College Board with placement on the 9th Annual AP® District Honor Roll. The designation recognizes school districts for increasing access to Advanced Placement course work while simultaneously maintaining or increasing the percentage of students earning scores of 3 or higher on AP exams. Lake Travis ISD is a multi-year recipient of this unique honor. According to the College Board, reaching these goals indicates that the district is successfully identifying motivated, academically-prepared students who are ready for the opportunity of AP. View the complete listing of school districts named to the College Board’s 9th Annual AP® District Honor Roll. As 2018 comes to a close, Lake Travis school officials are pleased to report that overall progress on the district’s November 2017 voter-approved bond is on track and within budget. The $253 million bond is the district’s largest issue to date. It includes a number of projects which were completed this summer such as the purchase of new school buses and the installation of seat belts. However, several projects are in progress—highlighted by Bee Cave Middle School in western Travis County, and 2019 will bring additional work including districtwide building renovations and repairs and the construction of Elementary School number 7 in Rough Hollow. The bond also includes districtwide technology infrastructure and land for future facilities and utilities. Visit the LTISD website for a complete list of Bond 2018 project. A demographic report commissioned by the district and released in February 2017 indicates enrollment is increasing by approximately 300 to 400 students annually. In October 2018, Lake Travis schools recorded a total enrollment of 10,702 students. With the anticipated opening of Bee Cave Middle School next fall, district officials will convene a school attendance zones committee in early February 2019. The committee is expected to make its recommendation to the school board in April with final board approval in May. New middle school attendance zones will become effective August 2019, while elementary school attendance zones will become effective in August 2020 to coincide with the opening of each campus. For more information about the LTISD 2018 Bond, contact the LTISD Office of Communications at 512-533-6046. Bee Cave Middle School off SH 71 and Vail Divide is approximately 60% complete; the school is scheduled to open in August 2019. Select members of the Hudson Bend Pom Squad and Lake Travis Red Rubies represented LTISD Dance as Spirit of America Dancers in the 92nd Annual Macy’s Thanksgiving Day Parade®. The performance opportunity was organized for award-winning individuals and teams that consist of dancers from middle schools, high schools and studios from across the country. 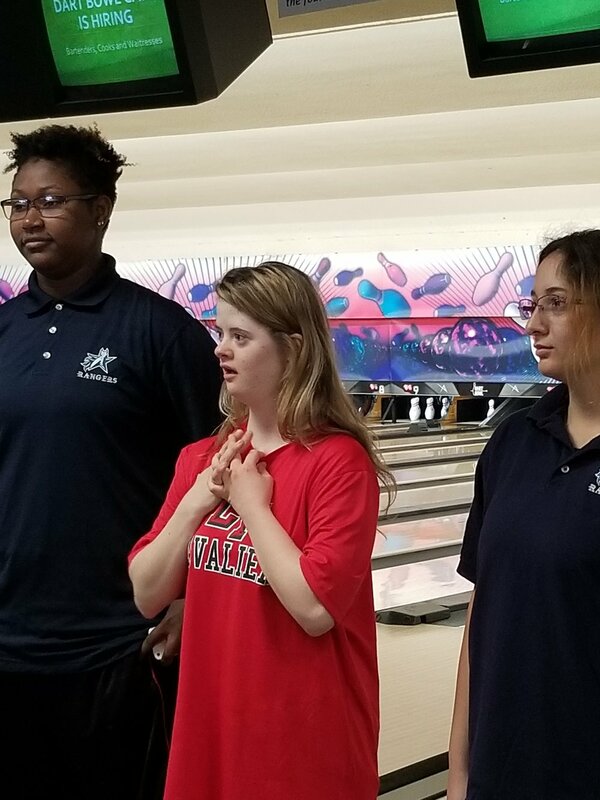 The dancers rehearsed with staff from ShowMakers of America, including Laura Truett, Hudson Bend Middle School Pom Director and Cavalettes Assistant, to perfect their performance for NBC. Along with rehearsals, they enjoyed some of the famous New York City landmarks, attended a Broadway Show and the Radio City Music Hall Christmas Spectacular, ice skated at Rockefeller Center, and visited the flagship Macy's Herald Square in Manhattan. in recognition of its significant contributions to improve K-12 educational and college/career opportunities for students. The award was presented during the chamber's annual State of Education event held Nov. 9 at the AT&T Executive Conference Center. Pictured (left to right): Stephen Miller, A+FCU Vice President of Operations; Billy O'Briant, A+ Federal Credit Union Business Development Officer; Emily Spiller, A+ Federal Credit Union Branch Manager; Katie Kauffman, LTISD Director of Development and Corporate Relations; Clarissa Cullison, Lake Travis High School business teacher/Lake Travis Junior Chamber of Commerce sponsor; and Matt Womack, Lake Travis Chamber of Commerce Chairman. What does outdoor learning look like? Watch our students and staff at West Cypress Hills Elementary, together with West Cypress Hills Elem PTO, sow the seeds of future learning as they tend their outdoor learning center and garden. Now more than ever, safety and security are at the forefront of daily routines across Lake Travis ISD. Each campus has protocols in place to help deter incidents as well as crisis management plans to guide the appropriate response during an emergency. District officials recently added a critical component to those efforts, hiring Andy Michael as the District’s Safety & Security Coordinator—a new position designed to add focus, emphasis and support to safety processes and security systems districtwide. Under the direction of Robert Winovitch, Director of Facilities and Construction, and Chris Woehl, Executive Director of Technology and Information Systems Services, Mr. Michael will oversee compliance in areas of health and safety for students, employees and visitors; coordinate the district’s emergency operating plan; develop and coordinate campus and department emergency plans and safety manuals; act as a first responder in emergency and crisis situations; perform facilities inspections; and manage districtwide door access controls and video monitoring. Mr. Michael has more than 22 years of leadership and service in law enforcement and public safety, including more than 16 years of executive, command and supervisory experience with the Austin Police Department. A veteran of the United States Air Force, he earned a Bachelor of Science degree in Organizational Leadership from Mountain State University in West Virginia. Mr. Michael and his wife Trish have two children: Anthony and Olivia, both of whom attend LTISD schools. Mr. Michael can be reached at michaela@ltisdschools.org or at 512-533-5758. Pictured (left to right): Kelly White, Lake Travis FFA advisor; Blake Ochoa, Lake Travis High School FFA chapter president; and Russ Kohler, chair of the American Farm Bureau Federation's Young Farmers & Ranchers program. Blake Ochoa, a senior at Lake Travis High School, earned Silver Finalist designation for his fifth place finish at the 2018 National FFA Extemporaneous Public Speaking Leadership Development Event held October 24-27. The event was held in conjunction with the 91st National FFA Convention & Expo. The public speaking event recognizes outstanding FFA members for their ability to prepare and present a factual speech on a specific agricultural issue in a well thought out and logical manner. Members select one topic from a choice of categories, have 30 minutes to prepare a 4- to 6-minute speech, and respond to 5 minutes of questions following delivery. Ochoa, president of Lake Travis FFA, won the Texas FFA Extemporaneous Speaking Contest in July at the 90th Texas FFA Convention in Fort Worth. As a result, he was the sole FFA member representing Texas at the national leadership development event in Indianapolis. Kelly White, Perry White and Taylor Eurich are advisors for the Lake Travis High School agriculture program. Approximately 300 students are enrolled in the Lake Travis High School Agriculture program due in large part to FFA. Founded in 1928 as Future Farmers of America, the organization was renamed in 1988 to the National FFA Organization, now commonly referred to as FFA. In addition to production agriculture, FFA is a Career and Technical Education organization which recognizes individuals with diverse interests in the food, fiber, and natural resource industries, encompassing science, technology and business. Approximately 150 agriculture students are members of the Lake Travis FFA chapter. Have you ever tried romanesco? Do watermelon radishes taste like watermelon? Our students are learning about these and other fruits and vegetables throughout October. 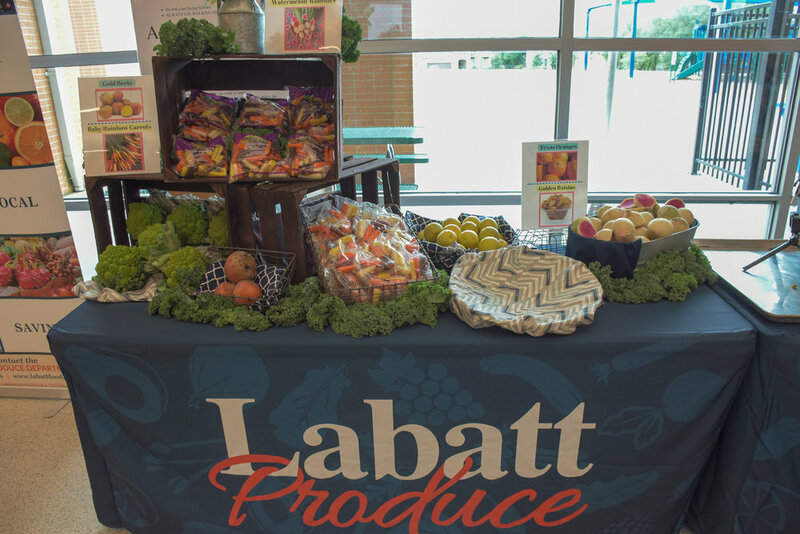 Our Food and Nutrition Services department coordinated recent campus visits from Johnson's Backyard Garden and Labatt Food Service to all six elementary campuses. These representatives set-up "farmers markets" in our cafeterias where students were able to sample a variety of local and unique fruits and vegetables at no cost. These types of events provide students with opportunities to learn how food is grown and potentially expand their pallets. Enjoy these photos from Labatt’s visit with students at West Cypress Hills Elementary School. 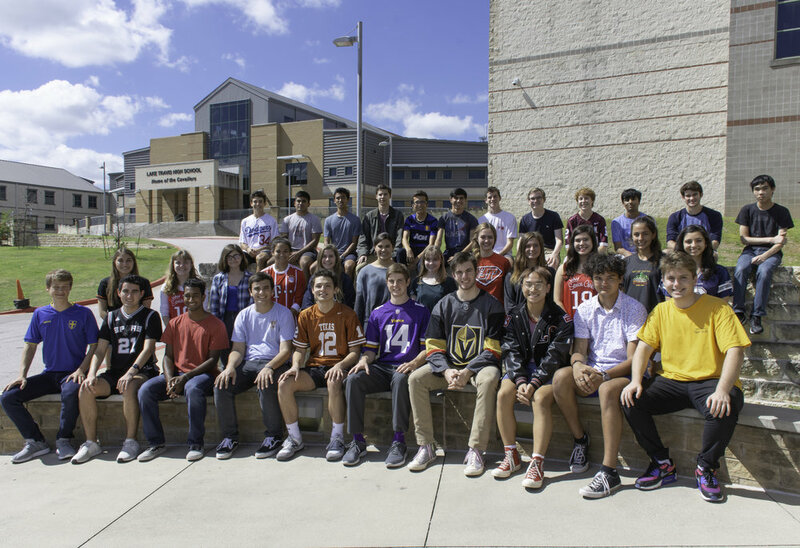 Lake Travis High School principal Gordon Butler is pleased to announce that 37 seniors have been recognized by the 2019 National Merit Scholarship Program. These students entered the program by taking the Preliminary SAT/National Merit Scholarship Qualifying Test (NMSQT) as high school juniors in 2017. They were chosen from more than 1.5 million program entrants and represent less than one percent of each state’s high school seniors. According to the National Merit Scholarship Program, these students are the top scorers from each state and show exceptional academic ability and potential for success in rigorous college studies. Additionally, the National Hispanic Recognition Program identifies nearly 5,000 outstanding Hispanic students each year, while the National Achievement Scholarship Program provides recognition for outstanding Black American high school students. 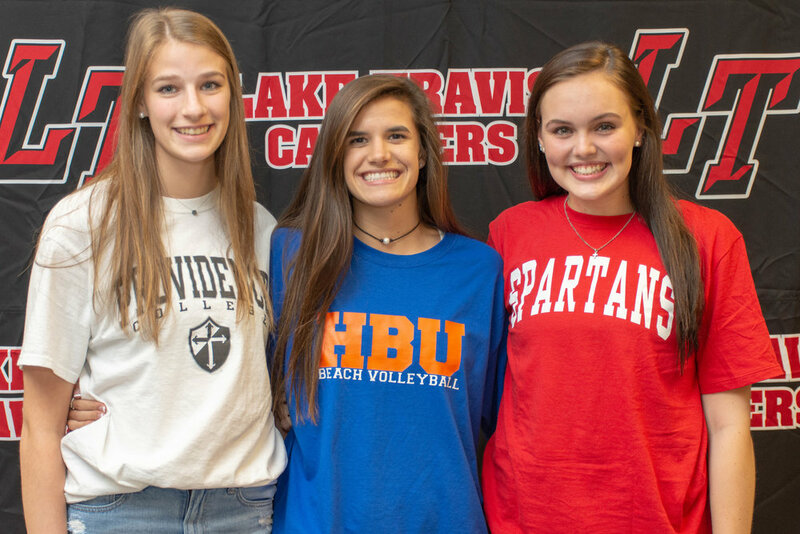 It’s been a busy ride of late and a tremendous honor for Lake Travis High School and Lake Travis ISD courtesy of Megan Holden, English and Art History teacher at Lake Travis High School. Ms. Holden was one of three finalists for the 2019 Texas Teacher of the Year designation. While she was not ultimately selected, we know one thing for sure: Ms. Holden is an amazing teacher and a wonderful ambassador for the Lake Travis community. But she’s not done yet. Pictured (l to r) at the 2019 Texas Teacher of the Year luncheon at the Bob Bullock Museum: Holly Morris-Kuentz, Deputy Superintendent; Dr. Brad Lancaster, Superintendent; Craig Holden, social studies teacher at Hudson Bend Middle School and husband to Megan Holden; Megan Holden, English and Art History teacher at Lake Travis High School; Gordon Butler, principal at Lake Travis High School; and Elizabeth Deterra, Assistant Superintendent for Learning and Teaching. Ms. Holden is being considered as the 2018-2019 LifeChanger of the Year, a nomination submitted by Lake Travis resident Sherry Martin. Ms. Holden was been praised for going above and beyond for students. When she noticed that many students and families were struggling financially, Ms. Holden acted quickly. 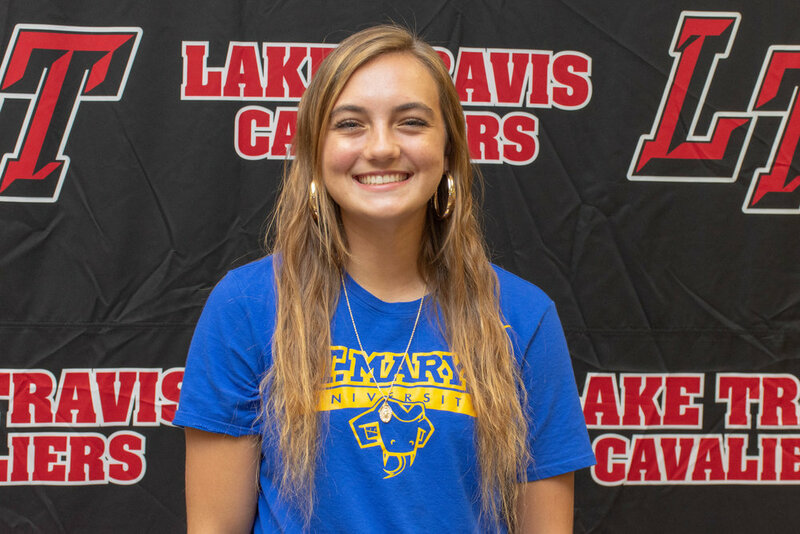 She established the “Cav Lounge,” a teacher and volunteer-led resource center inside Lake Travis High School where students can confidentially receive food, clothing, school supplies, and even prom dresses and tuxedos for graduation. (1) Spirit Award Winner – will be given to the nominee whose community demonstrates the most support for their nomination. The winner will receive $5,000 to be shared with their school/district. (1) Spotlight Award Winner – will be given to a nominee in a specific discipline each year; for 2018-2019, the Spotlight Award will be given to a nominee who works in a counseling role (e.g, guidance counselor, social worker); the winner will receive $5,000 to be shared with their school/district. Winners are chosen by a selection committee comprised of former winners and education professionals. Award recipients for 2018-2019 will be announced via onsite surprise ceremonies in the spring. Grand prize finalists will also be honored at a national awards ceremony to be held April 2019 in Hawaii, where the Grand Prize Winner will be revealed. View Megan Holden’s LifeChanger of the Year nominee profile. Dr. Brad Lancaster and principal Gordon Butler surprised Ms. Holden with the announcement of being named the Lake Travis High School 201-2018 Campus Teacher of the Year. Ms. Holden proudly holds her plaque after being honored as the ESC Region 13 2019 Secondary Teacher of the Year. Representatives from A+ Federal Credit Union hand-delivered the first LT debit card program donation of the 2018-2019 school year to Katie Kauffman, LTISD Director of Development and Corporate Relations. This is the second year of the partnership. In August 2016, A+FCU and LTISD launched a student-designed card that rewards the district when A+FCU customers make purchases using the LT Visa debit card. Donations are made each quarter, and the amount varies based on customer use of the card. The custom card is available through the Cash-Back Checking program at the A+FCU branch in Bee Cave. Learn more and get your LT A+FCU debit card today. Pictured (left to right): Billy O'Briant, A+ Federal Credit Union Business Development Officer; Emily Spiller, A+ Federal Credit Union Branch Manager; and Katie Kauffman, LTISD Director of Development and Corporate Relations.